For an out of the ordinary meal in a restaurant far from the usual mountain style clichés - welcome to the Four 7; The mural is based on extreme sports and is the new concept of the champion fromTignes, Guerlain Chicherit. Open kitchen for an unique culinary experience ! Strictly controlled freshness of all the ingredients, the three friends (Loic, Guerlain and Thierry) count on total transparency to satisfy even the most demanding clients. You can let yourself go in a jazzy environment at apéritif time tasting one of the numerous cocktails on offer. Later on, if you are up for it, you can continue the evening with the red hot shots on the king-sized tin bar and Live Music. This is THE place to be this season!!! 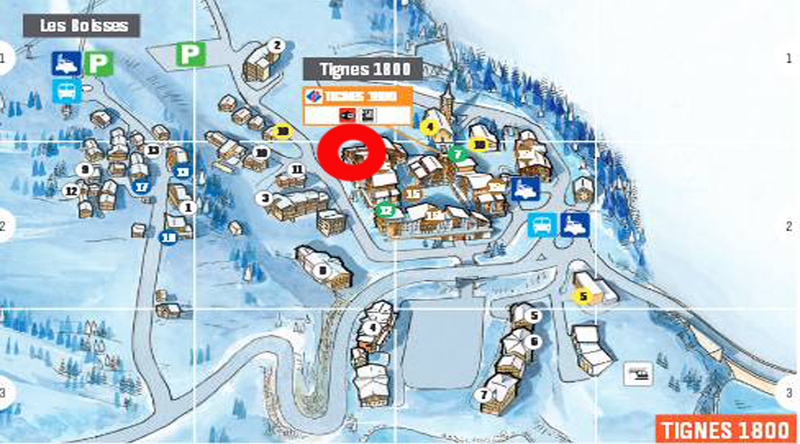 - Situated at the departure of the slope and near the ESF meeting.